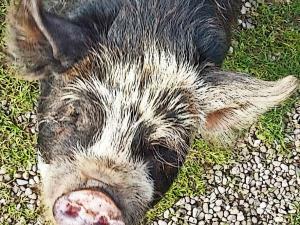 Piggy Walking with a Pig-Nic at Good Day Out Experience Days01874 749092work ExperienceThis charming small group experience is taking four little Kune Kune pigs for a walk along a quiet country lane in the Senni valley, Brecon Beacons National Park in Wales. The pigs love to walk along with the group and if conditions allow they will have a potter in and out of the small river nearby. After the walk, you will be treated to an ample picnic of soft drinks and cakes at their handler's smallholding. 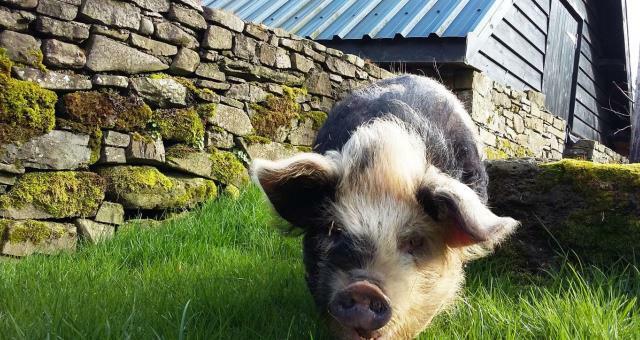 This charming small group experience is taking four little Kune Kune pigs for a walk along a quiet country lane in the Senni valley, Brecon Beacons National Park in Wales. The pigs love to walk along with the group and if conditions allow they will have a potter in and out of the small river nearby. Pre-booking required. Dates year round, mostly Sun, Mon & Tues, with more dates in school holidays. £25 adults £15 children (16s & under) includes food. "Private" walks can be booked for £125 for up to 5 adults.